Christine is the Executive Director of Upward Bound House in Santa Monica. Previously, Ms. Mirasy-Glasco was the Chief Programs Officer under the PATH family of agencies where she oversaw a continuum of programs that include service centers, temporary shelters and permanent housing projects. Prior to this, she served as Executive Director of Beyond Shelter, a leading provider of family homeless services with an annual operating budget in excess of $4 million. 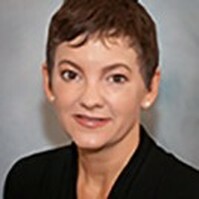 Christine spent 12 years in senior management roles at the Los Angeles Homeless Services Authority (LAHSA), which coordinates and manages more than $70 million annually in federal, state, county and city funds for programs providing shelter, housing and services to homeless persons in L.A. County. Fluent in four languages, Christine holds a Masters in International and European Law from the University of Paris II and a Pre-Doctoral Degree in InternationalEconomic Law from the University of Paris I - Panthéon-Sorbonne. She has more than 15 years of experience with both government and non-profit organizations. Becky Dennison is currently the Executive Director of Venice Community Housing. For more than 20 years, Becky has worked in a variety of roles to promote the housing and civil rights of homeless residents and low-income tenants, including working as the Co-Director of the Los Angeles Community Action Network (LA CAN). 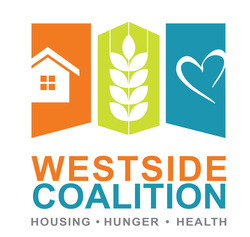 Becky is committed to social, racial and economic justice and honored to work with the Westside Coalition to promote and achieve justice on the Westside and beyond. Venice Community Housing is primarily focused in increasing supportive and affordable housing on the Westside, with 175 units in the pipeline, but is also committed to coalition work and solidarity building that advances all of the goals of the Coalition. Since 1989 Bruce Rankin has been the Executive Director of Westside Food Bank which annually provides nearly 5 million pounds of food to the food assistance programs of 70 Westside agencies. Bruce has served on the Westside Shelter & Hunger Coalition Board from 2005 to 2011, and again from June 2013 till the present, holding the position of WSHC Treasurer. Bruce is a founder of the California Association of Food Banks and is its longest serving Board member. He is the Board Secretary of Team Survivor California, an organization that provides fitness opportunities for cancer survivors. Prior to his work at the Food Bank, Bruce had experience working for the US Forest Service, a map making company, a recreation and parks department, and an immigrants’ services organization. Bruce is a graduate of UC Santa Barbara, and he holds a Master’s Degree in Geography from UC Berkeley. ​Chris provides leadership for all phases of operations, with special emphasis on long-range planning, program impact, client services and community partnerships. This includes overseeing and ensuring coordination of programs, staff, service delivery, community relations, marketing, fundraising, events, board relations and volunteer activities. He brings to Meals On Wheels West a passion for working with underserved communities. He has expanded the focus of MOW West to include veterans, the formerly homeless and transitional care. His previous non-profit experience includes his role as Regional Director for Community Healthy Charities of America overseeing programs in nine states in the Western Region. Mr. Baca also served as Executive Director for Community Healthy Charities California working in Los Angeles, Ventura and Santa Barbara counties with a variety of clients including Kaiser, Toyota and the City of Los Angeles. A longtime music business executive at Capitol Records/EMI, RCA/Imago, a Billboard Magazine nominated music business consultant and artist manager he brings an entrepreneurial spirit to MOW West. A graduate of SAMOHI and a longtime resident of the Westside, Chris is honored to be considered to serve as a member of the Westside Coalition Board. Haley Fuselier, LCSW joined PATH in April of 2015. On initially joining PATH, she was overseeing the Veteran Interim Housing Program. This program focuses on the Harm Reduction philosophy, requiring the veterans to reduce harmful behavior before moving into Permanent housing. Within a few months, she expanded her leadership role to oversee interim housing, outreach in the WLA area, and rapid rehousing programs as a Regional Director. Haley is extensively involved in collaborations that work tirelessly to reduce instances of homelessness throughout Los Angeles County, while finding innovative ways to address the ongoing issues associated with homelessness. Haley received her MSW from the University of Southern California in 2005. She has extensive experience in the area of Child Welfare and worked at the Department of Children and Family Services before moving into homeless services in 2008. She successfully ran a homeless access center in Venice for 7 years focusing on harm reduction, housing the chronically homeless and mental health needs for dual diagnosis individuals. Rev. Eric Christopher Shafer became the Senior Pastor of Mt. Olive Lutheran Church in Santa Monica in April of 2014. Since that time the congregation has shown remarkable growth, nearly doubling in membership. Under Pastor Shafer's leadership, Mt. Olive has welcomed the Students 4 Students Shelter (formerly known as the Bruin Shelter) to Mt. Olive, the first shelter for homeless college students in the USA. For his work with the shelter, Shafer was awarded the “Community Service Appreciation Award” for “Interfaith Humanitarian Service.” Shafer also helped found the new Santa Monica Area Interfaith Council. Following the mass attack on gay and lesbian people in Orlando in 2016, Shafer helped organize a "Love Orlando, Music Heals" benefit concert at Mt. Olive, raising funds for the Gay, Lesbian, Bisexual and Transgender Community Center of Central Florida. He serves as Treasurer of the Interfaith Movement for Human Integrity, a California statewide organization. Rachel Stich- Rachel Stich is the Deputy Director at Safe Place for Youth (SPY). In her role, Rachel is responsible for overseeing all of the organization's development and administrative efforts, including managing their growing budget, which has doubled annually since she joined SPY two and half years ago. As a Westside resident for nearly 12 years, she is passionate about resolving youth homelessness and improving the overall health and wellness of our local community. If selected as a member of the Board, Rachel looks forward to utilizing her extensive experience in development and communications to assist with fundraising efforts and community outreach, working collaboratively with the Westside Coalition alliance, and representing the young people who are experiencing homelessness in West LA.